Do you have an “all-star” testimonial you want to share with us on Listia? Do you want to be a part of our bi-weekly newsletter? 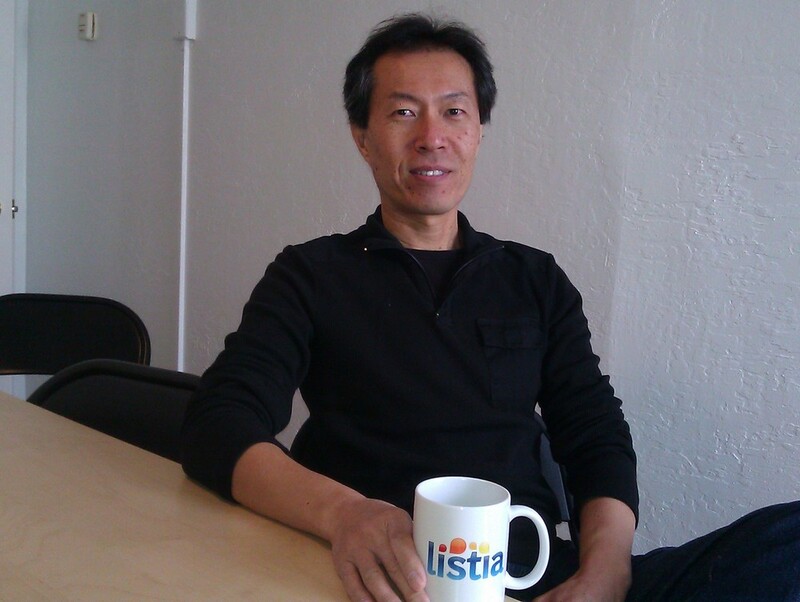 Submit your story along with an awesome picture of yourself to contests@listia.comand you could be featured next! Seller Tips: More pictures = more credits! 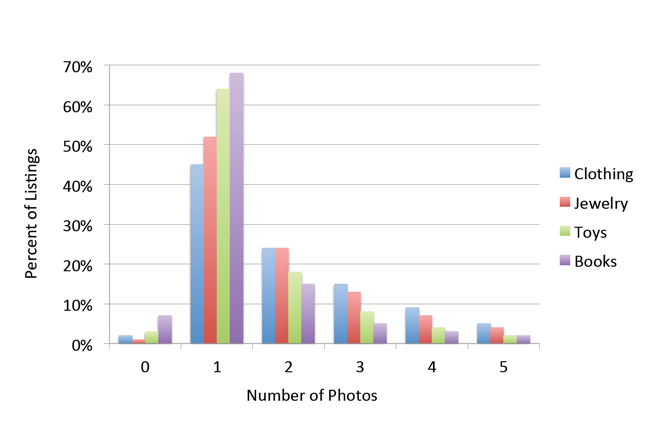 Most marketplace sellers know that including photos in a listing can help generate more bids and buyer activity, but we thought it’d be interesting to measure exactly how impactful pictures can be on your sales. That thought prompted Ngan, one of our awesome developers, to pull these great stats that may help you get more out of your listings. 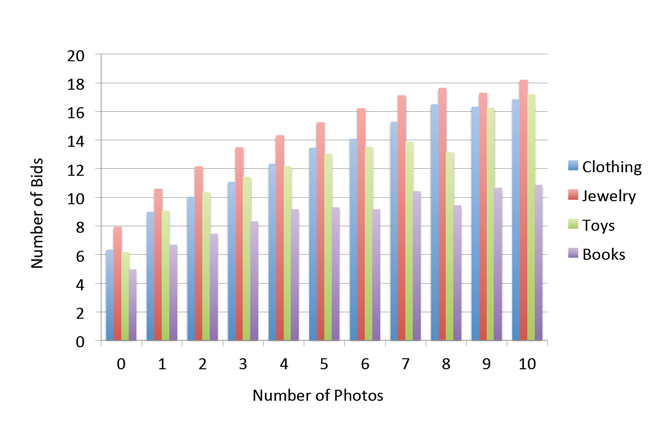 The above shows the most common number of photos is still one (1), even across different types of items. Pretty neat, eh? 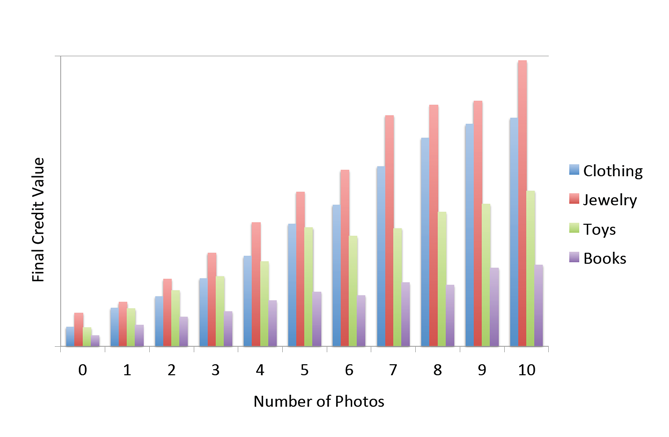 It’s cool to see how a few (or many) extra photos might motivate buyers to bid on your items. Even books, a category we thought didn’t need too many photos, benefited from additional pictures. IN CONCLUSION: Next time you list an item, show as much of it as you can. 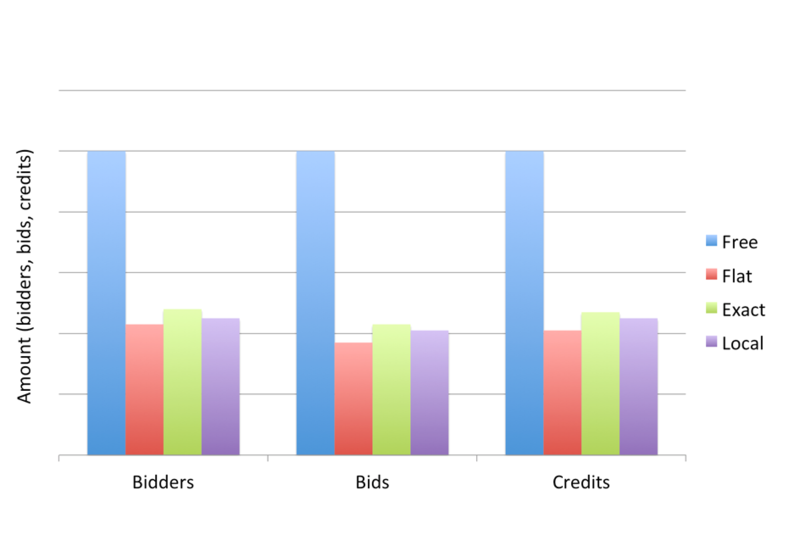 Don’t stop at one picture if you want to get the most credits and bids possible. Every additional photo gives you an edge, so keep uploading and optimizing your listings! Our Listia Team continues to grow and we’re excited to introduce our newest team member, Tae (rhymes with “hey Tae, whadayasay!). He’ll be spearheading our community and support efforts as we increase our focus on the community needs going forward. He was born and raised in the Bay Area (mostly South Bay). All four homes were within 10 miles from where he lives now. His hobbies includes fast cars, playing acoustic guitar, his two daughters, and his newest “obsession” of tending to his 12 baby fruit trees in his backyard. He’s fluent in English and Klingon (for the Star Trek fans). His favorite food is Thai but he’ll try most edible things that won’t kill him. He was once an extra in a James Bond movie and also at a Tonight Show taping. Leave a comment for Tae and welcome him to the Listia community! Listia for Android is Here! Place bids and win the things you want! Additional Android features are in the works, so stay tuned for future updates. Win some great Android OS devices from us!